Outlander PHEV is here – delivering economy, comfort and performance. With super low emissions, remarkable fuel efficiency and genuine on and off-road performance, the Outlander PHEV is a drive like no other. Powered by an electric motor and a traditional combustion engine, this hybrid offers the convenience of an electric vehicle; without compromising the range of an SUV. The internal combustion engine (1) provides power and range and the electric motors (2), efficiency. Separately mounted at the front and rear axles, they deliver responsive 4WD performance, while the Super All Wheel Control (S-AWC) ensures excellent stability and handling. Providing power in most driving conditions, the drive battery (3) is located under the floor to maximize interior space and lower the centre of gravity for improved safety and handling. Simply charged at any 15 amp power point, the battery can also be recharged while you drive. The regenerative braking system (4) uses braking energy created by the vehicle to recharge the battery, allowing longer drives on less fuel. 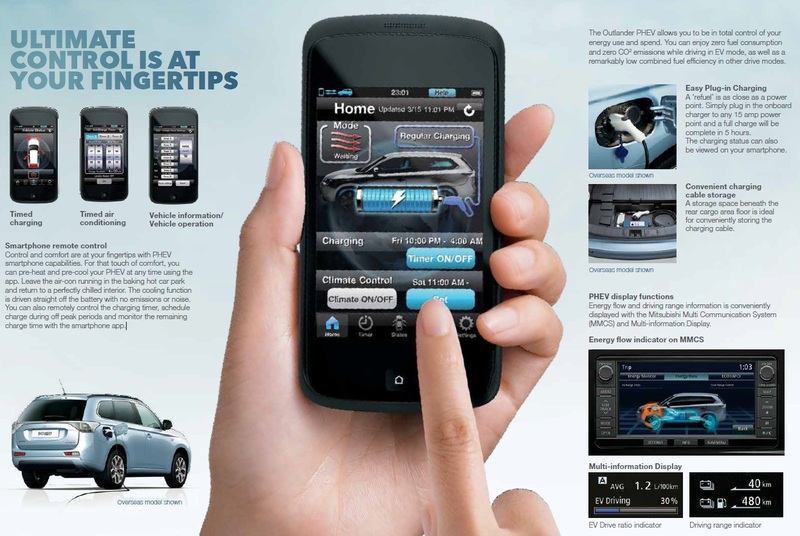 Control and comfort are at your fingertips with PHEV smartphone capabilities. For that touch of comfort, you can pre-heat and pre-cool your PHEV at any time using the app. Leave the air-con running in the baking hot car park and return to a perfectly chilled interior. The cooling function is driven straight off the battery with no emissions or noise. You can also remotely control the charging timer, schedule charge during off peak periods and monitor the remaining charge time with the smartphone app. Enquire now to [email protected] or (07) 3377 3700. Toowong Mitsubishi have purchased some very minor hail damaged cars from Mitsubishi. These vehicles range from having only 1 small dent to still only 20 dents. There is massive saving to be made across the range so contact a New Car Salesperson to find out what sort of bargain you can get your hands on! Mirage takes out Drives ‘Best City Car of the year’ for 2013. Mitsubishi’s budget-focused Mirage has emerged victorious over Drive’s long-time Car of the Year city car champion, the Volkswagen Polo. Against the judging criteria Mitsubishi’s Mirage was unanimously found to tick all the boxes – and for a considerably smaller sum than that of the German five-door. The Mirage is priced from just $12,990 plus on-road costs, though the Japanese brand is currently doing deals from only $11,990 drive-away. That’s pretty hard to argue with, given the comfort, practicality and equipment offered in the pint-sized Mirage. Judges praised the Mirage for its ride comfort, its light, city-friendly steering and small turning circle, the fact it’s fitted with the full complement of safety equipment (six airbags, stability control), its Bluetooth-equipped stereo system, and the thrifty and perky three-cylinder engine. The ES model we tested was fitted with the CVT automatic transmission (priced from $14,490, plus on-road costs), and judges praised the pairing as being “ideal for running around the ‘burbs”. “The Mirage meets all the requirements for not a lot of money,” one judge stated. It wasn’t all roses for the Mirage – its interior presentation was criticised for being drab and lacking attention to detail, and the amount of engine noise was questioned by some of our experts. “It looks a bit cheap inside, and you can tell it has been built to a price,” one judge said. But in the end it was found to offer a convincing package that has strong ownership credentials on its side, including four years of fixed price servicing (at just $250 per 15,000km/12 month visit), and a five-year, 130,000km warranty. There’s no doubting the carryover champion, Volkswagen’s Polo 77TSI, is a polished and impressive car. But at $21,490 plus on-road costs it’s heading into territory occupied by bigger – and, frankly, better – vehicles. VW Australia is currently running a $21,490 drive-away deal for the dual-clutch automatic version we tested. Our judges were again impressed by the refined nature of the VW, from its smooth 1.2-litre turbo four-cylinder engine to its comfortable ride and trusty steering. It may be small but it feels like a bigger, more mature car to drive. The engine does require premium unleaded fuel, though, and the dual-clutch automatic isn’t without its quirks – and question marks. The impressively low fuel economy largely covers that off, although the Mirage is lower again. Combined with 2 other Concepts Mitsubishi had launched at the Tokyo Motor Show, the new Mitsubishi XR-PHEV concept oozes futuristic charm with a whole new level of technology that vehicles in this day and age are yet to see included let alone thought possible for a car! 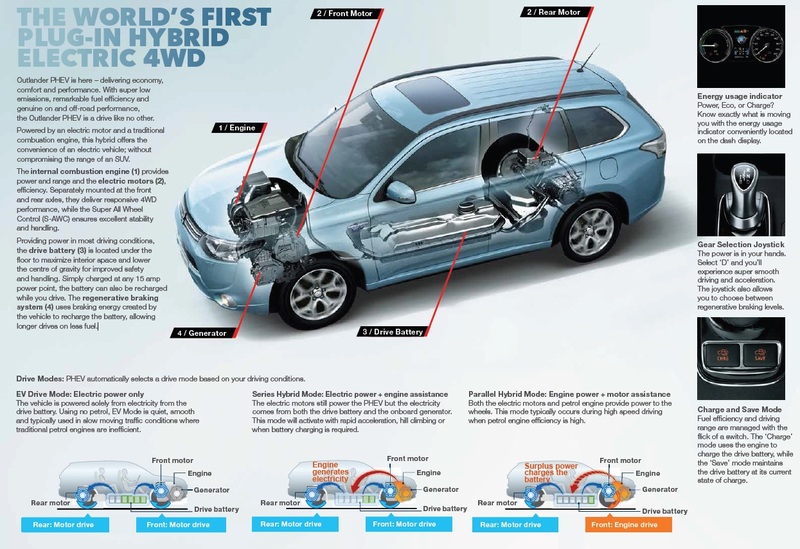 The XR-PHEV is the concept in which the new 2015 ASX will base itself on and from the feedback at the motor show we can wait until it arrives here in the 2nd quarter of 2015. 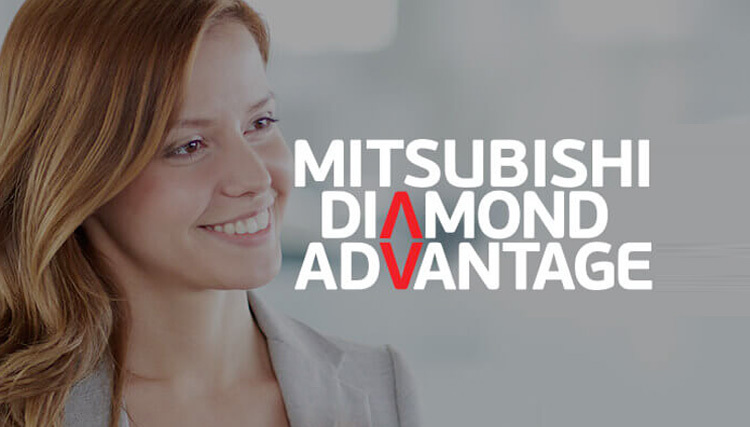 Mitsubishi have for the last 40 years been the leader in technology for vehicles. The new concept GC-PHEV continues that legacy. The Concept GC-PHEV is the vehicle which the all new Pajero for 2015 will base itself from. The long awaited 2015 Pajero will be the first new car for 15 years for Mitsubishi’s flagship SUV. Hello Folks today we are going to review the Lancer LX. The Lancer LX is the middle of the range lancer with features that surpass its competitors by country miles. Coming standard with the Mitsubishi 5 year 130000km warranty, roadside assistance and capped price servicing for 4yr/60 000k you can be sure that no matter what happens you have peace of mind motoring. The LX lancer has luxury features that make the vehicle very easy to drive and incorporate with a busy lifestyle. Smart key entry makes unlocking and starting the car a breeze, especially with a hand full of groceries. The alloy wheels and skirts around the car give it that sporty look that the lancer is renowned for. Moving inside the vehicle we find the touch screen in the centre of the dash very user friendly, making it simple to select and listen to all my music through the Bluetooth, as well as take calls when I’m on the road. Pop the car in reverse and the screen also provides a reverse camera allowing perfect precision parking when tackling those difficult car parks. Other features including the leather seats with power adjustment and warming capability, leather steering wheel and gearshift knob as well as piano black dash just add to that luxury presence the vehicle has. For any more information on the vehicle or a test drive just pop in a speak to one of our new car consultants. The Triton GLX-R is a great ute which can be used for either work or play and with loads of added on features make it well worth the money to upgrade from the GLX Model. With everything from 17”alloys, chrome mirrors, sports bar, sports interior, climate control and even a rear power window which is again a fantastic feature for the tradie or regular family with pets, the GLX-R will not disappoint on the highway or the most difficult of 4wd tracks.